ARTELIER takes its name from the French word for 'artist's studio.' 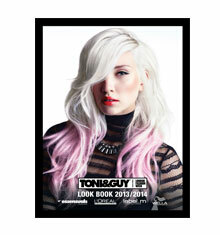 ARTELIER is an eclectic mix of inspirations from the TONI&GUY International Artistic Team, who created ten definitive cut and eight colour techniques for 2012/13. Transforming ready-to-wear shapes into a couture cut – classic ideals are transformed with internal disconnection that loosens and releases hair to create interesting texture and ultimate versatility – for multiple ways-to-wear style. Shattered perimeters, cross-reference strength and femininity, creating unique shapes for a bespoke feel. High-impact fringes are the ultimate accessory featuring in a multitude of lengths – from uber short and progressive, to longer side sweeping detail. Colour is worn as an ‘accessory’ of the cut in a multiple hues from expensive bespoke blondes, to strong graphic colour placements inspired by the graphic digital print work of designers including: Peter Pilloto and Alexander McQueen. 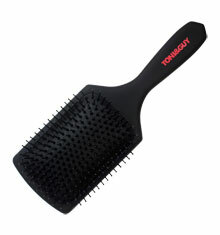 Classic techniques are used in new innovative ways to create a nu-wave of balyage and ombre - create shaded roots that stretch through to the perimeter for a multi-tonal, translucent – less obvious finish. Reflective of the TONI&GUY philosophy of TONI&GUY education, mentoring and sharing of knowledge and skills – Atelier is the definition of the International Artistic Team’s collective creativity. ARTEL.I.ER is also reflective of the brands synonymous relationship with Fashion and it’s unique position as the ‘Official Sponsor of London Fashion Week’. The collection today features key pieces from current British Designers, many of which we work with at London Fashion Week where we create the hair for over 70 designers each year. Produced in conjunction with L’Oreal Professionnel & Wella Professionals – ARTELIER embraces the TONI&GUY philosophy of continual education and evolutionary fashion-led hairdressing. 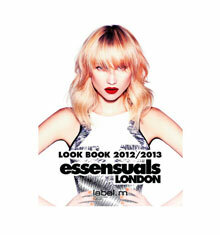 Get up close and personal with the team that created the collection at the TONI&GUY Academy, LONDON. 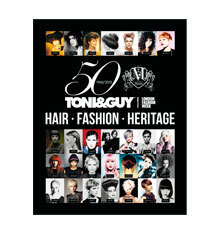 With five floors dedicated to educational excellence in the heart of London’s shopping district, visit www.toniandguy.com for a full course lisiting.